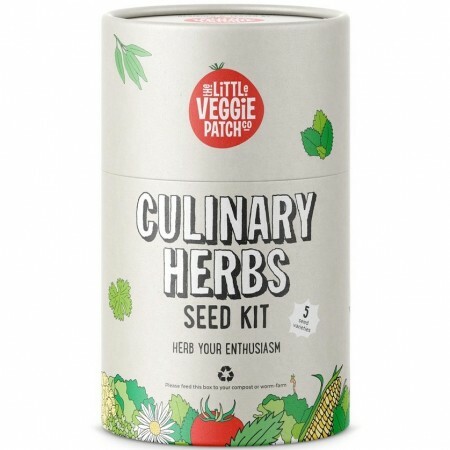 Designed and tested by Victorian based company LVPC, this seed kit contains everything you need to start growing culinary herbs. 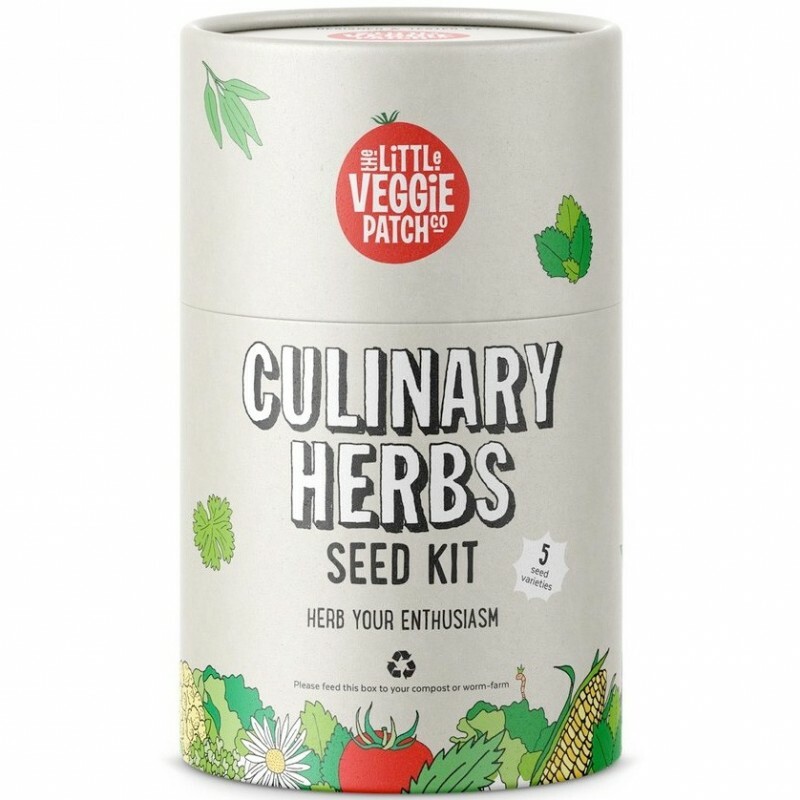 Because growing your own herbs is a basic gardening right. 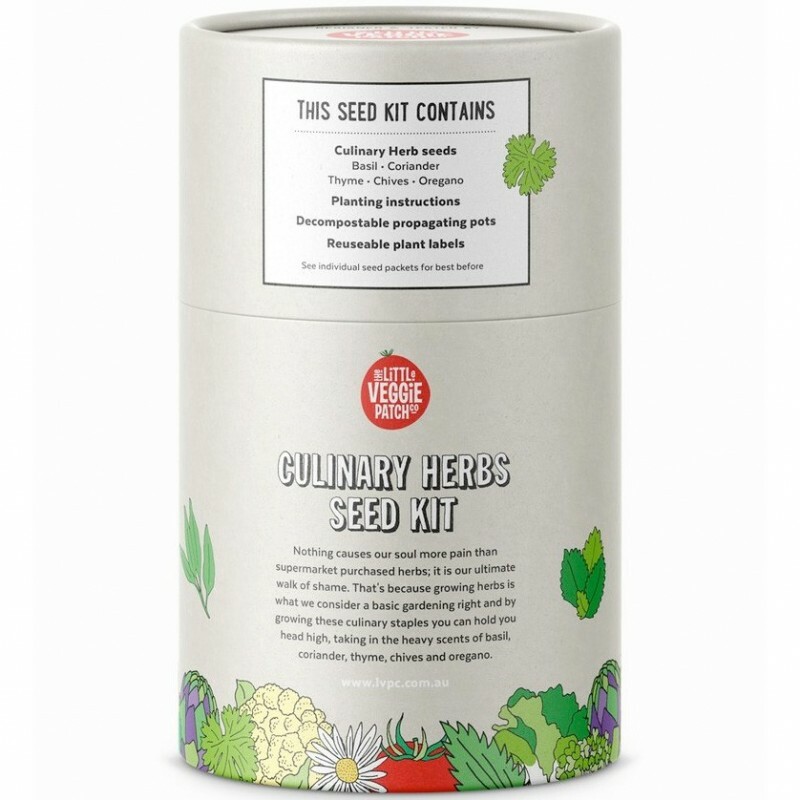 These culinary staples will enhance every meal and will never have you purchasing supermarket herbs again. Heirloom seeds enclosed: Basil, coriander, thyme, chives and parsley. 16 x 8.5cm cardboard tube container. Recycle or compost outter tube package.